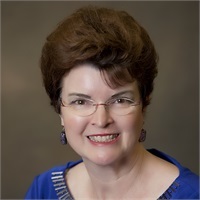 Ruth Forehand, CFP ® is a Vice President and Wealth Advisor with Revolution Wealth Management LLC, since October 2012. Ruth, your personal Wealth Advisor, has the privilege of working with all levels of clients to serve as their single point of contact for all financial matters. Ruth uses a disciplined approach to assist clients through the development, implementation, and maintenance of their personalized investment plan. While following this approach, she will guide clients through the wealth accumulation, wealth preservation, wealth distribution, and wealth transfer phases of their lives. Ruth began her financial services career over 20 years ago with Merrill Lynch in 1985. From 1985 to 1990, Ruth worked as a retail broker in Anchorage, AK with Merrill Lynch. She has also worked for MetLife; RSM McGladrey, CPAs; Financial Advisory Consultants; and USAA as both a financial advisor and a financial planner. In October of 2012, Ruth continued her affiliation with LPL Financial, which began in 2009, by joining Revolution Wealth Management with the intention to offer customized products and strategies to her clients. Ruth has been published in the areas of estate planning, education planning, and tax benefits of specific investments. Additionally, she has presented workshops on financial planning and social security in the San Antonio area. During Ruth’s career, she has had experience with asset management, financial planning, retirement planning, retirement distribution, insurance planning, education planning, and developing estate strategies. Ruth holds the Series 7, Series 63, Series 65 registrations through LPL Financial, & Texas Life, Accident, Health, and HMO licenses. In addition, she is also a CERTIFIED FINANCIAL PLANNER(TM) & is a an LPL Investment Advisor Representative. Ruth is a native of Baldwin County, AL and is a proud graduate of Huntingdon College with a BA in Finance and English. She did her graduate work at the Kenan-Flagler Business School at the University of North Carolina – Chapel Hill. In her spare time, Ruth is very involved in her church assisting single Mom’s with their finances. She is an orange belt in Hopkido (Korean self-defense). Most of her time is spent hiking, fishing, hunting and supporting her 8 year old son in his various sports activities. She enjoys the luxury of ‘being Mom’ and baking for his school activities.